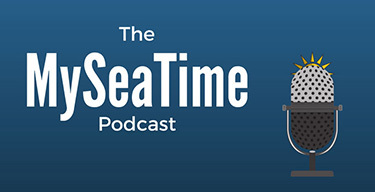 Every time a new regulation is in force, companies, and seafarers inevitably wonder if this is the last major regulation that they have to worry about. We have seen this before with Marpol Annex VI, ECDIS, EU MRV, and many others. After all, everyone is managing regulations these days instead of managing ships. While we may or may not be critical of new regulations each year the truth is we have to comply with these regulations. And the first step to compliance is understanding the regulation inside out. The regulation we will discuss today is “Ballast water management”. In 1988, Canada and Australia raised the issue of invasive species brought to their waters through the discharge of ballast water by ships. What could be the problem with these invasive species or with ballast water, one may ask. The problem is highlighted in the below video by IMO. The problem was real and IMO started the work to address this issue. After more than 14 years of complex negotiations between the IMO Member States, the International Convention for the Control and Management of Ships’ Ballast Water and Sediments (BWM Convention) was adopted on 13 February 2004. And after another 13 long years, the BWM Convention finally entered into force on 8 September 2017. So the first question is to which all ships this convention applies? Well, the convention applies to all the ships of a state that has ratified the convention and that carry ballast. There are few logical exemptions such as a ship that carries permanent ballast in sealed tanks on ships, that is not subject to discharge. Ballast water convention does not apply to such ships. Ballast water convention is all about pollution from ballast water from one location discharged into different ecology. So it is obvious that ballast water management convention would require us to treat the ballast water in ways that it becomes less harmful or not harmful at all. Ballast water management (BWM) convention provides two ways of doing that. These methods are provided in section D of the ballast water management (BWM) convention. The first standard is to replace the ballast water in mid sea. 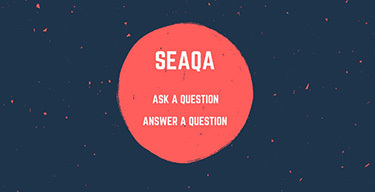 This method is based on the fact that the invader species from coastal water cannot survive in deep waters and deep water species cannot survive in coastal waters. 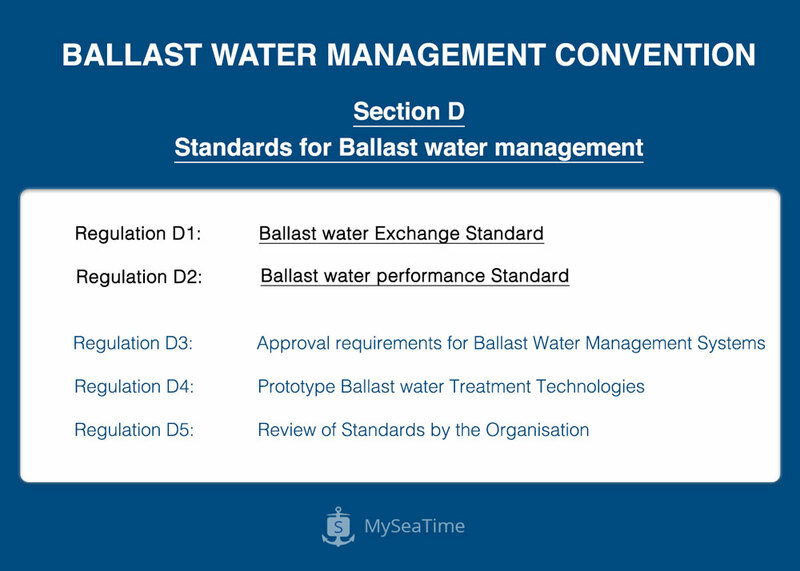 When replacing the ballast water at deep sea, BWM convention regulation D1 requires that at least 95% of the ballast water need to be exchanged. And there are two ways to do that. 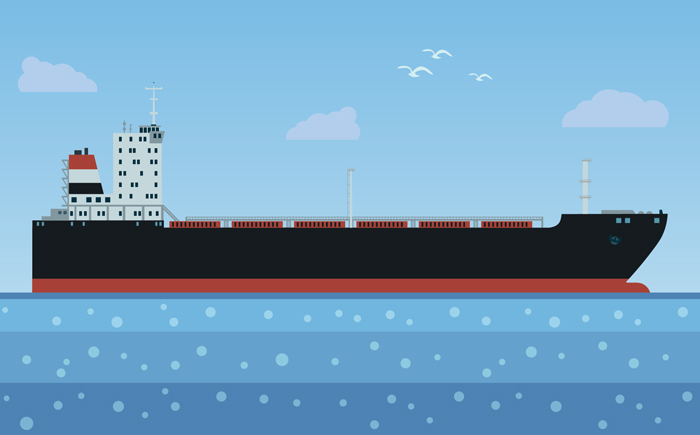 The first method is to deballast at least 95% of the volume of ballast water from the tank and then re-fill it. This is called the “Sequential method or simply Pump-in, pump-out method)”. For example, let us say we need to exchange the ballast water from a ballast tank that has 1000 m3 of ballast. In this case, we need to deballast at least 950 m3 of ballast and then refill it. Actually, we need to deballast as much as possible. 5% is just allowed for the unpumpable ballast. The second method is to keep on ballasting the ballast tank and keep on overflowing the ballast water from ballast tank through air pipe or other openings of the ballast tank. 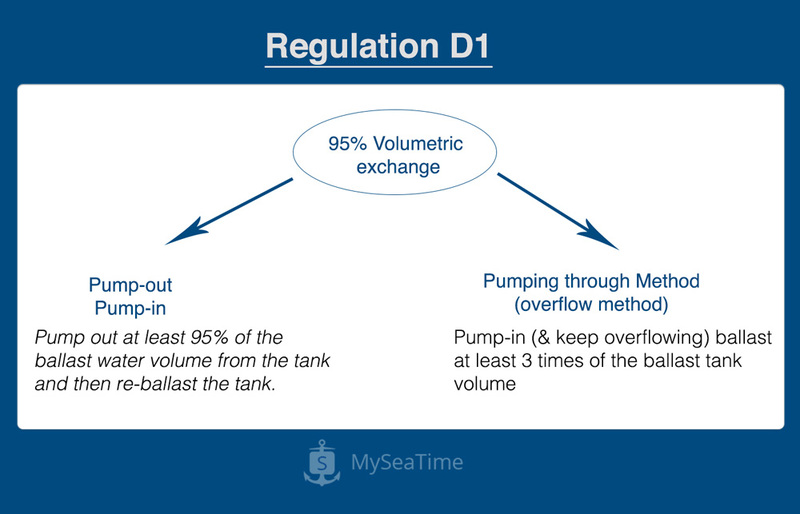 For the flow-through method, BWM convention regulation D1 requires to pump in 3 times of the ballast tank capacity to achieve 95% of the volumetric exchange. The first ballast water standard is temporary and ultimately all ships need to arrive at ballast water performance standard (regulation D-2). This second ballast water standard is more scientific in words. It aims to control the number of actual species (in simpler word micro-organisms) that can be discharged. If you are interested in knowing the numbers, here are the numbers as per the BWM conventions, regulation D-2.2. 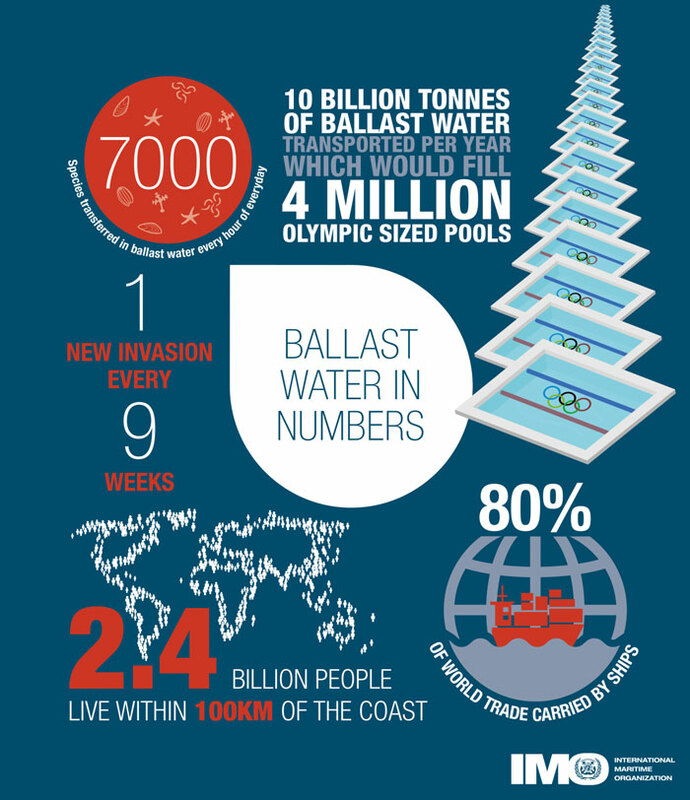 And as you may have guessed it right, this can only be achieved by a Ballast water treatment system. This system is fitted before the ballast overboard and it treats the ballast water to the required standards before the ballast water goes overboard. To achieve ballast water standard as per regulation D-1, the vessel needs to exchange the ballast in the mid sea. 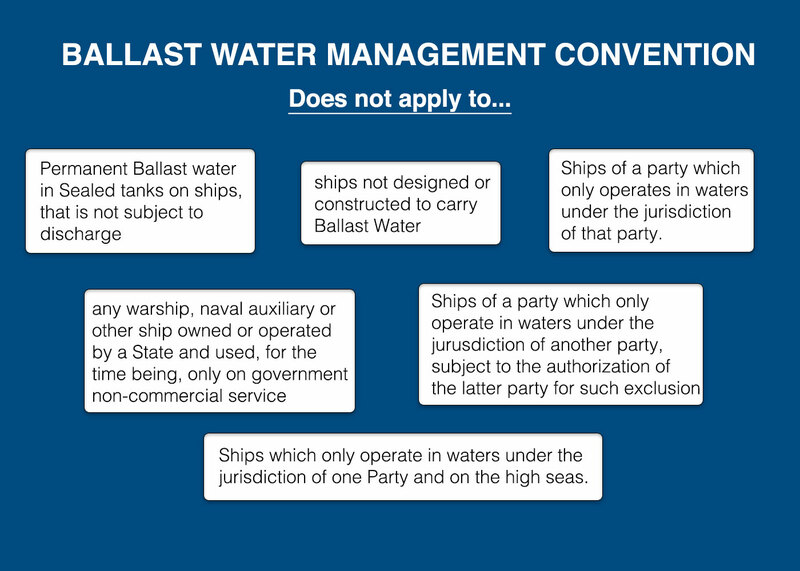 BWM convention regulation B-4 provides the criteria for deep sea where the ballast exchange need to be carried. 200 Nautical miles from nearest land in a minimum water depth of 200 meters. Regulation B-4.3 also clarifies that the ship need not deviate from the intended route for the purpose of complying with this requirement. So then here is the million dollars question that everyone has. What if distance or depth requirements are not met during the voyage, especially for a short voyage between two countries? Well, the best way is to communicate with the agent to know the local requirements from the port authority. For example, for the voyage from a Brazilian port to Argentina: the vessel would not comply with the requirements if the general route is followed. But Argentinian port authorities have special instructions related to ballast water exchange for the vessels arriving from Brazilian ports. Regulation D-1 or D-2: Which one applies to which ships? Vessels need to either comply with regulation D-1 (Ballast exchange) or Regulation D-2 (Ballast water treatment system). BWM convention regulation B-3 provides this information. The original regulation B-3 was amended by MEPC circular to amend the compliance dates. Below is the amended schedule for compliance with the D-2 regulation. The above schedule may look confusing because the reference date is taken as the ballast water convention ratification date (08 Sept 2017). New ships (built on or after 08 Sept 2017) must meet D-2 standards. Existing ships (built before 08 Sept 2017) must meet D-2 standards at first IOPP renewal survey after 08 Sept 2019. All vessel must comply with D-2 standards before 08 Sept 2024. BWM convention, regulation B-1 requires the ships to have an approved Ballast water management plan. The ballast water management plan is a ship specific plan and has all the details related to the compliance with BWM convention. For example, it lists if the regulation D-1 is applicable to the vessel or regulation D-2. In the case of regulation D-1, the approved process of achieving 95% of volumetric exchange of ballast will be provided in the BWM plan. It would also contain the safety consideration for ballast water exchange. 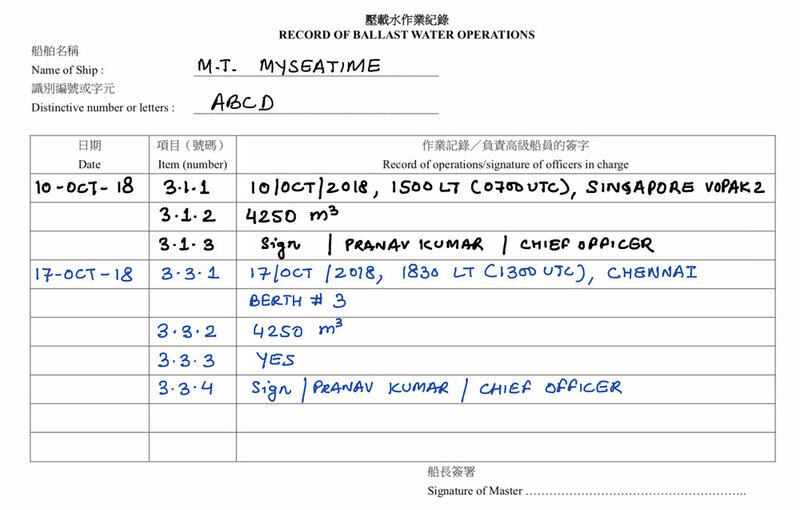 For example the information about the set of ballast tanks that can be exchanged together along with the ship’s stability during this process. If regulation D-2 is applicable then the BWM plan would contain the information about Ballast water treatment system. And the BWM plan provides information about the handling of sediments from the ballast water tanks. BWM convention regulation B-2 requires the ships to have on board a “Ballast water record book”. An entry needs to be made for each activity related to the ballast water. Codes given in the beginning pages of the ballast water record book need to be used for making entries. This is not much different from the entries we make for oil record book or cargo record book on tankers. BWM convention regulation E-2 requires that the ship that complies with the requirements of the conventions be issued with a certificate. 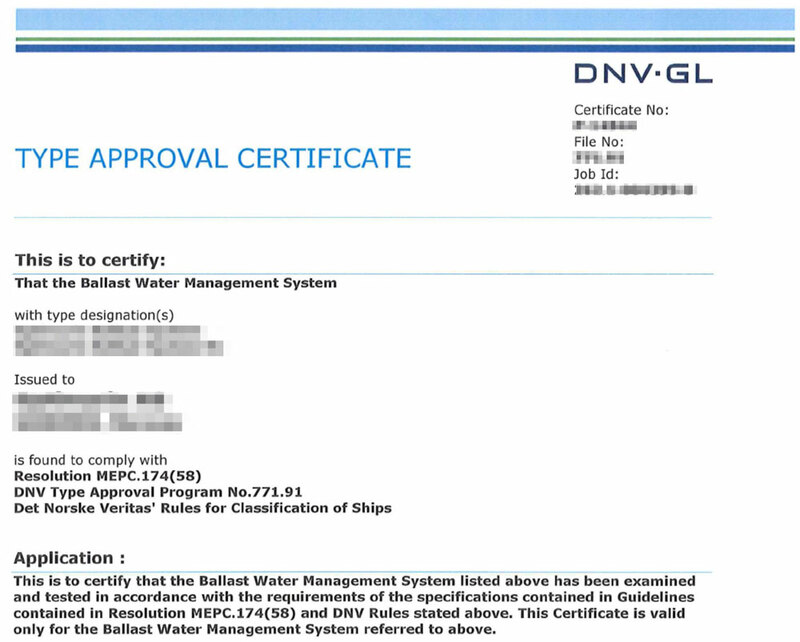 The International Ballast water management certificate is issued after the successful initial survey of that vessel. the ship’s ballast water management plan complies with the requirements of the convention. The equipment and procedures comply with the requirements of the convention. The ballast water management certificate is valid for 5 years subject to the annual surveys. The annual survey is carried out each year within three months before or after each anniversary date. Apart from that, an Intermediate survey is carried out within three months before or after the second or third-anniversary date of the certificate. Sometimes we do not need to know the entire convention. We just want to hear what is required from us. So here I summarise what is required from seafarers to comply with BWM convention. This will also help during port state control inspections. An approved “Ballast water management plan”. Check that these two documents are on board. Second, we need to know if the vessel is required to comply with D-1 standards or D-2 standards. 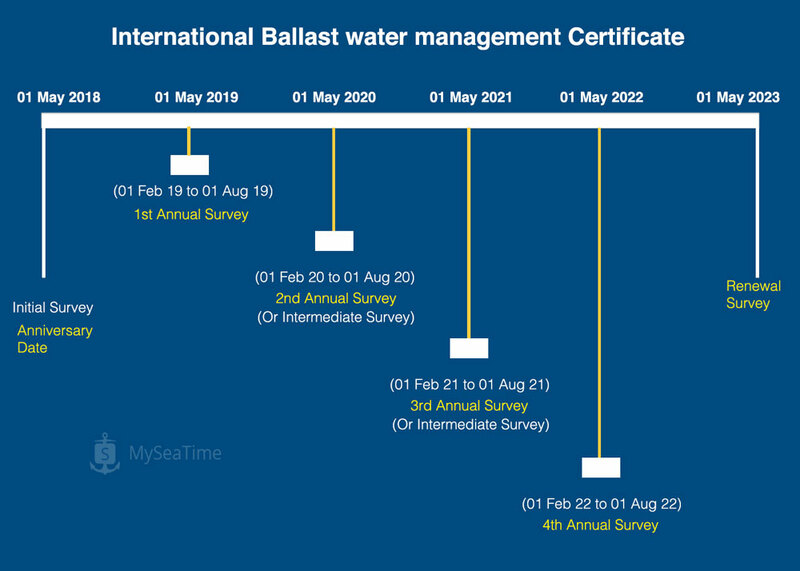 The ballast water management certificate provides this information. If the method employed is as per regulation D-1, then we must ensure that ballast is exchanged as per the procedures mentioned in the BWM plan. If the method employed is as per regulation D-2, that is, the vessel is fitted with a BWM system then we must have a type approval certificate for such a system. Vessel needs to record all activities related to the ballast water in the “Ballast water record book”. And finally, ship’s crew need to be aware of and trained about their responsibilities as per the ballast water management convention. A training record for the training of all of those involved with ballast operations would help show compliance. 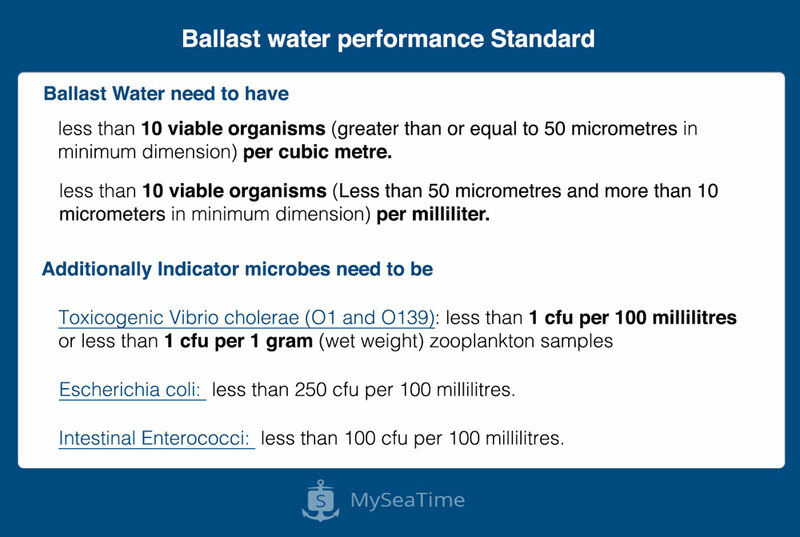 Once these points are taken care of, the vessel can be expected to comply with ballast water management convention. We like it or not but there is one more regulation that we have to comply. Port state controls are now focussing on verifying the compliance with ballast water management convention. And it is time that we know in and out about the convention and how we can ensure compliance. Once we know that, demonstrating compliance with BWM convention would not be difficult. Beautifully explained sir. 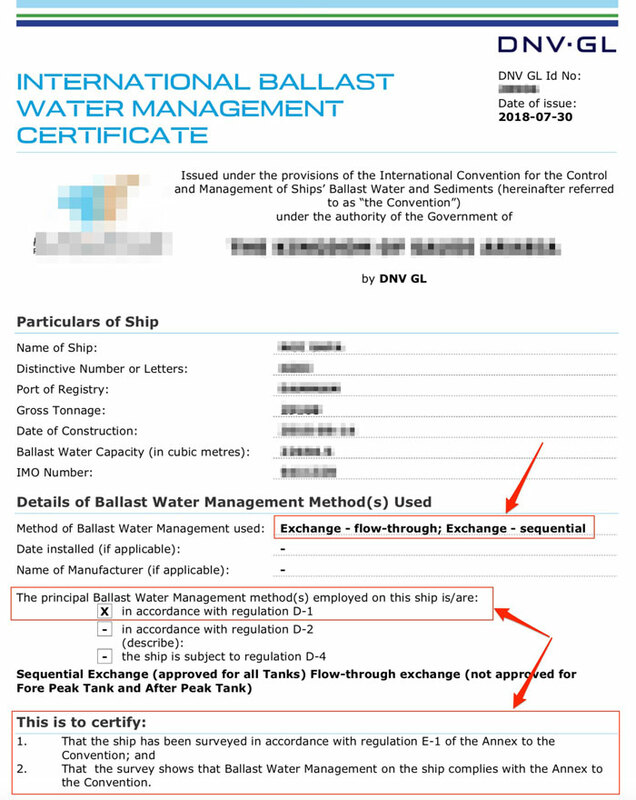 Do ships started carrying BWM certificate after BWM convention came into force? 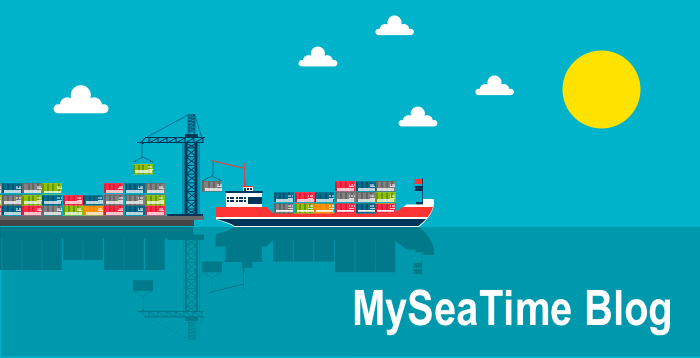 If I had no BWM plan and no BWM certificate before 8sep2017, would it cause my ship running into troubles with PSCs? BWM Plan and BWM certificate was only required once BWM convention entered into force.